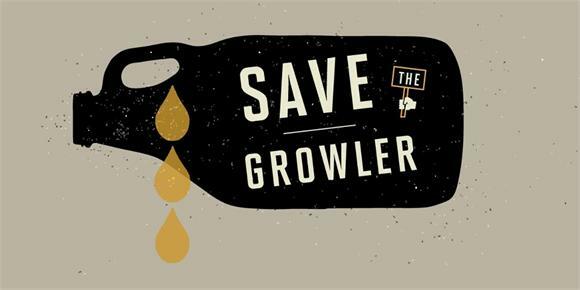 LET YOUR LEGISLATORS KNOW: WE DON'T WANT GROWLERS TO GO AWAY! You can help, and it's easy. As you may already know, Minnesota's breweries are only allowed to sell growlers until the brewery reaches 3,500 barrels in annual production. Fulton and other breweries around the state are set to surpass that number this year or in the very near future. We like growlers, and we know many of you do too, so if you'd like to continue to have the option to buy growlers in the future, we need your help. We are working on a bill to allow breweries over 3,500 barrels to continue selling growlers as we grow, and our state Senators and Representatives need to know that you care too. So, take a couple moments today to call or email your local representatives. It's real easy to help: click over to http://savethegrowler.org/take-action/, type in your zipcode to look up your local reps, and contact them today. Not sure what to say? Use some of the quick talking points on the website to tell them why it's important. OUR TAPROOM IS OPEN THIS WEEKEND, BUT THE BATHROOMS ARE CURRENTLY A LITTLE RUSTIC. We have good news and bad news, and they're both the same: we're remodelling our bathroom at the brewery. The good part is that we'll have much larger and somewhat nicer bathrooms. No more lines! The bad part of the news is that the taproom will be a little primitive until we've finished the project in a week or two. We rented some indoor biffies that are actually not much more spartan than our former bathrooms, so don't worry, no need to go outside. Other than that, taproom operations will be as normal. Those who brave the conditions mentioned above will be rewarded: we have extended War & Peace bottle sales at the taproom through this weekend. Stop by anytime today or tomorrow to pick up a few bottles ($15, tax included). Also, War & Peace will remain on draft at the taproom for the next few weeks.